Song lyrics by Metallica. Check-out these awesome song lyrics by the artist, learn every word of your favourite song and sing it like Metallica. 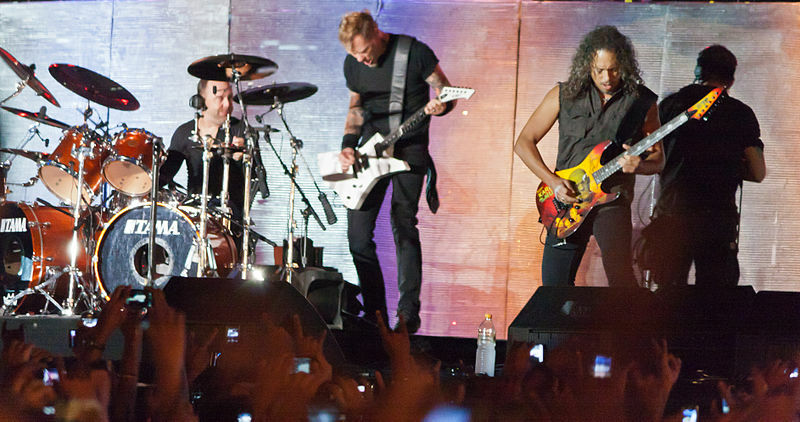 Get one of the 170 lyrics and watch the video by artist Metallica. Am I Evil? Lyrics Garage Inc. Crash Course In Brain Surgery Lyrics Garage Inc.
Damage Case Lyrics Garage Inc. Die, Die, My Darling Lyrics Garage Inc.
Free Speech For The Dumb Lyrics Garage Inc. It's Electric Lyrics Garage Inc. Killing Time Lyrics Garage Inc.
Last Caress/ Green Hell Lyrics Garage Inc.
Mercyful Fate Lyrics Garage Inc.
Sabbra Cadabra Lyrics Garage Inc. So What Lyrics Garage Inc.
Stone Cold Crazy Lyrics Garage Inc.
Stone Dead Forever Lyrics Garage Inc. The More I See Lyrics Garage Inc. The Prince Lyrics Garage Inc. The Small Hours Lyrics Garage Inc. The Wait Lyrics Garage Inc.
Too Late, Too Late Lyrics Garage Inc.
Tuesday´s Gone Lyrics Garage Inc. Turn The Page Lyrics Garage Inc. Whiskey In The Jar Lyrics Garage Inc.